The classic clip point of a bowie knife is accentuated in rippled Damascus steel. The Tri-Circle Mosaic Damascus Bowie features a bone handle with brass inlays, framed by a stainless steel pommel and guard with a chipped finish. The full tang blade of this utility knife is well suited for all your chopping and slicing tasks. The brown leather sheath is embossed with a basketweave pattern. A black accent piece displaying a tooled floral motif is sewn to the front of the sheath. The knife sheath also features a belt loop and a snap closure. 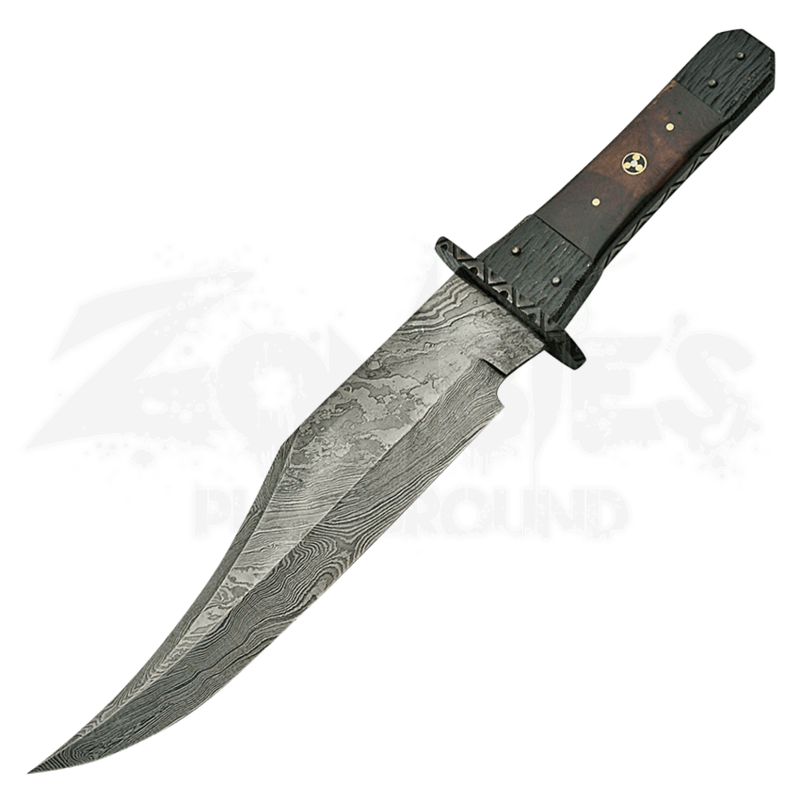 The Tri-Circle Mosaic Damascus Bowie combines form and function to create an elegant tool for hunting, camping, or survival efforts.